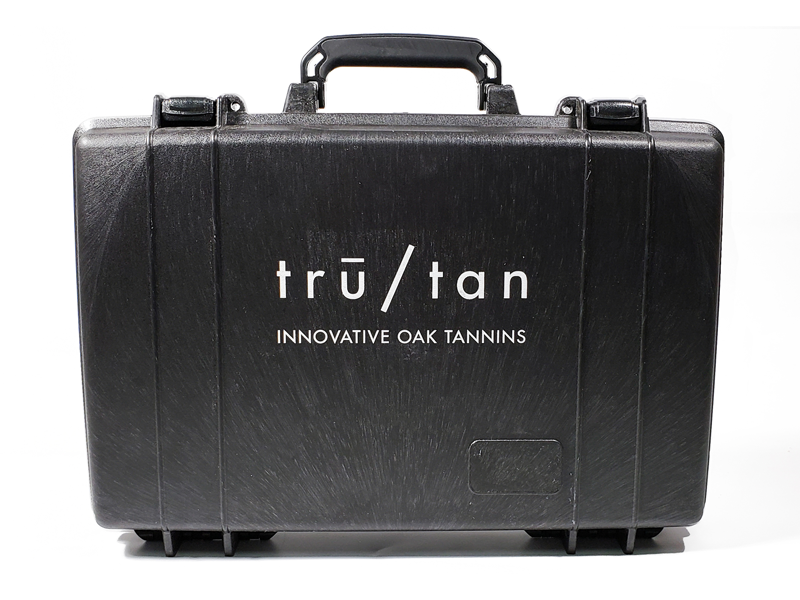 Trutan Pelican Case - Pure Black, Inc. 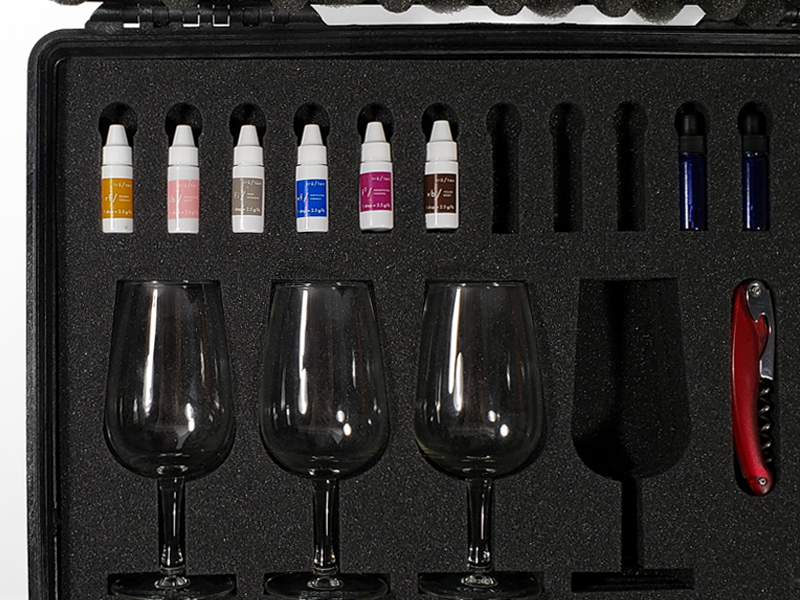 These cases were made to contain a sample kit to taste the different kinds of tannins that Oak Solutions Group offers vintners to enhance their wines. 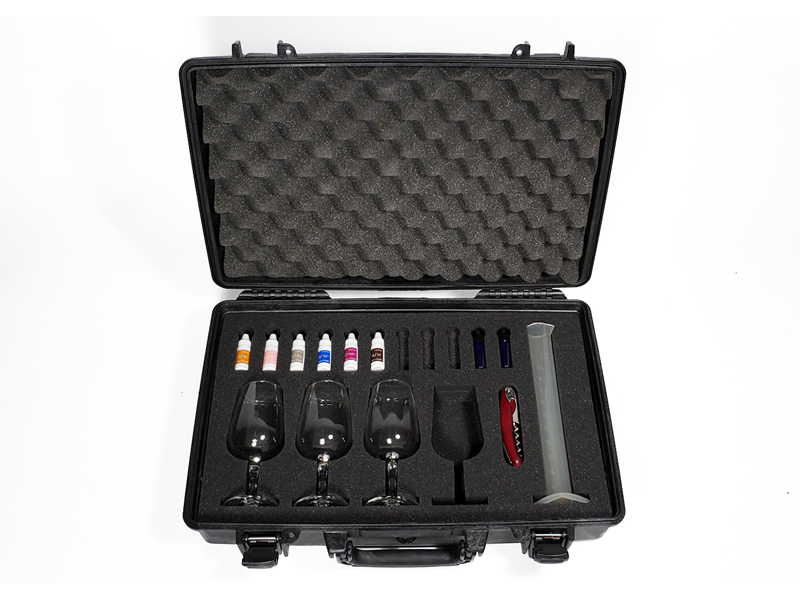 These had to be ultra-premium while still taking a beating, as their sales employees would be taking these kits on the road to do demonstrations for winemakers big and small. The inside foam was individually scalloped to perfectly fit and keep safe the glasses, tannin solutions, flasks, and other tools.